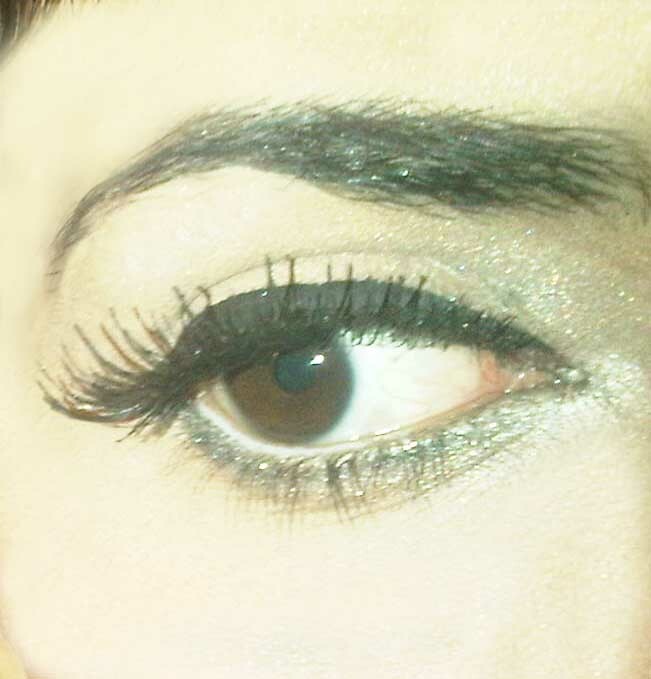 I use Mac concealour under my eyes, as well as on the eyelid (the mini tube one) in NW25. I use a gold eyeshadow all over my eyelid and as a highlighter (I love Karaja eyeshadows as the pigment stays on all night and the Naked Eye Palette by Urban Decay for this look), I use Morisse false lashes before putting on the eyeliner, which I am having a hard time getting a hold of for the time being :( :( but they are the BEST ones I have used. I use 1000 Hours eyelash glue to stick them on because I prefer one with an applicator, this is an Australian brand, however Duo lash glue is just as good. I used to use Rimmel liquid eyeliner and I wing it a bit from the sides, but these days I am using an Aqua Eyeliner pot, with a brush applicator, and it does a superb job - in this particular picture the eyeliner is a bit shaky was a rush job. I also use the gold eye shadow under my eye and then with a slanted brush I use a brown colour to line under the eye for some definition. Inside the water line is a white eyeliner which opens the eyes up a bit. Lastly I use a L'Oreal mascara to align the false lashes with my real ones so you can't tell the difference, I think it's the telescopic mascara, but ALL L'Oreal mascaras are amazing. I'll post a video at some point!! !